The Rise of the Working-Class Shareholder tells the story of labor’s unheralded shareholder activism. That activism weaponizes the $3 trillion in labor’s capital, which is vested in the pensions of state and local government workers and unionized private sector workers, to advance the interests of their worker-contributors. The activists who do this work are almost totally invisible. But it is crucial to tell their story now, in a bleak time for labor unions and other working-class institutions. 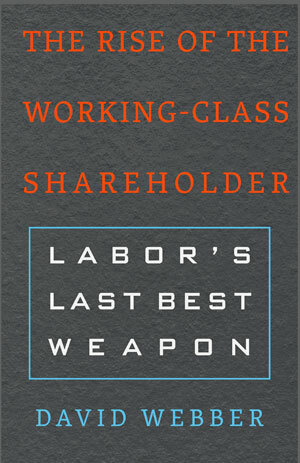 The purpose of the book is not to cheer up otherwise depressed labor advocates, though it does offer a rare glimpse into activists fighting and winning assorted confrontations with companies, hedge funds, private equity funds—all, using shareholder power. In telling their stories, my aim is to demonstrate how and why shareholder activism is a critical tool for workers to advance their interests in the twenty-first century. Workers should have more capital than they do, more ownership than they do. But, at the same time, they already have enough through their pension funds to meaningfully bend all-powerful global capital markets in their direction. Three-quarters of the book are dedicated to proving that proposition, primarily by telling the stories of these invisible activists. That said, the book also offers two critically important legal and policy takeaways. The first relates to the question of what types of factors these pension funds should consider in making investments. The second major takeaway relates to pension reform. There is an extremely well-funded, comprehensive, right-wing attack on public pension funds in particular that has been going on for some time. That campaign, financed by the Koch Brothers, the Arnold Foundation, and others, aims to break up these pension funds and convert them into tens of millions of individually managed 401ks or the like. If successful, that will kill the activism described in the book. Labor’s shareholder activism is dependent on the existence of large, pooled sources of workers’ capital, like the California Public Employees’ Retirement System ($350 billion in assets) or the California State Teachers’ Retirement System ($225 billion) or New York City’s pension funds ($190 billion). Convert those into individually managed accounts, and these funds become like the rest of us 401k holders, atomized and unable to protect ourselves. I analogize a pension fund to a union, and a 401(k) to “right to work”. A pooled pension fund speaks with a powerful collective voice. I believe the subversion of that voice is a key aspect of pension reform. Such reform is not just about the question of underfunding. It is a form of economic voter suppression designed to silence working-class shareholder voice; voice that is critically dependent upon being collective. In making these arguments, I also aim to overcome the objections of some ideological purists who view labor’s capital as inherently compromising. 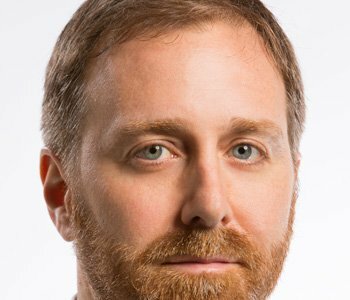 Does labor’s capital occasionally lead labor to act against its own interests? It certainly does. I offer examples of this and address them squarely in the book. But to me, to abandon labor’s capital because of these conflicts is like abandoning powerful unions because they grew too close to the power structure, or, giving up on electoral politics because of its inevitable compromises. The key is to master these problems through training and raising awareness that can tip the balance in labor’s favor. None of this means that labor’s capital is the solution to all of labor’s problems. Traditional tools like legislation, litigation, electoral politics, and organizing still matter. But in my view, capital markets are the most powerful force on the planet. The facts on the ground are often established there. By the time you’e getting to your election or legislative drive, it is often too late. Worker voice needs to be heard in the markets themselves, and these funds are the mechanism for projecting that voice.